FULL TIME; STORMERS 17, BRUMBIES 19 - It's all over in Cape Town and despite barely having a third of possession all game, the Brumbies have produced something incredible in defence to pull through. With the Stormers throwing everything at the visitors, a sensational effort in defence has thwarted everything the hosts could muster. 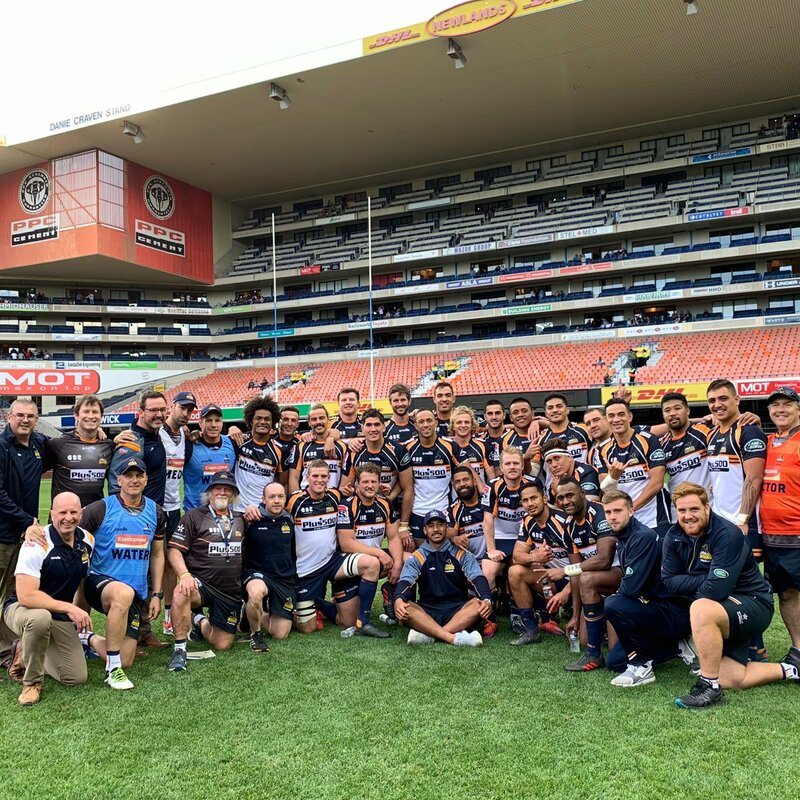 The Brumbies with a huge effort as they snare a two-point win on the road in South Africa. Fouche is penalised for collapsing the maul and instead of heading to the posts, the Brumbies elect to head to the corner. Winning the line-out, the visitors are keeping the ball expertly well and close to within five metres. With time expired, Lucas bangs it into touch. Kolisi is played down the left sideline for the Stormers as they search to steal this game. With the Brumbies sliding quickly and efficiently, a trio of defenders including Speight, Arnold and Swain bundle Kolisi into touch 46m out. A little bit of confusion in the middle as with du Toit penalised for being offside, Leali'ifano looks to have pointed to the posts from 51 metres out. Stormers players are then bemused as Leali'ifano clears into touch instead with three minutes remaining. Can the Brumbies seal it here? Immense defence once more from the Brumbies who have been so resolute all game. With the Stormers stringing together 11 phases and looking like scoring out wide, jamming angled defence sees Fourie sprung for not releasing. Take a bow Brumbies; take a bow. The Brumbies are under immense pressure with nine minutes remaining as the Stormers are within 15 metres of their chalk. With the latest stoppage, the Stormers elect to contest a scrum from close range instead of going for kicking for extras from point blank. Brave move. The chance that the hosts were sweating on as Slipper is penalised for collapsing the scrum 45 metres out. With the opportunity presenting to pull ahead, Stander steps up to the kicking tee. With a shanked roost though, the kick is wide-right and leaves the Stormers adrift by two points. PENALTY GOAL MISSED STORMERS! (Joshua Stander). STORMERS 17, BRUMBIES 19. 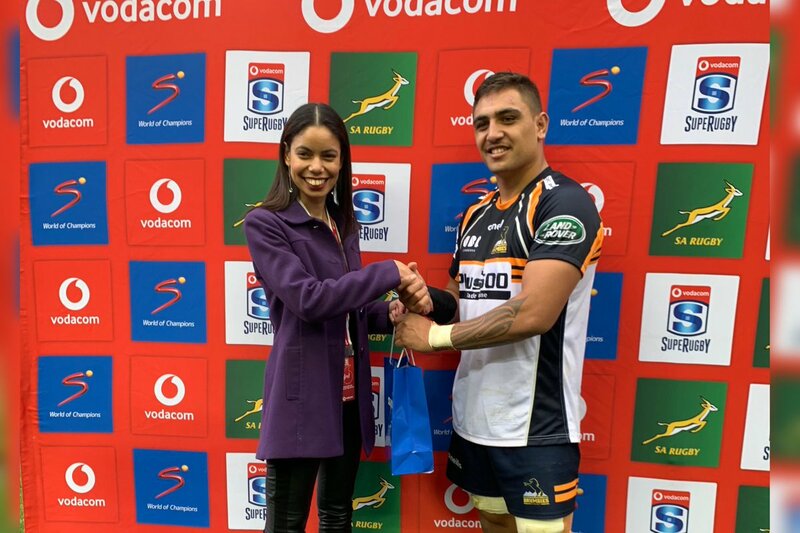 No Brumbies player has scored more than two tries in an away game against the Stormers since Joseph Tomane. That feat occuring back on June 20th 2015 with Tomane securing a hat-trick as the Brumbies ran out easy 39-19 victors. In their 12 clashes in South Africa since 1996, the Brumbies have been held to 19 points on only one other occasion. That being February 26th 2010 when they held on for a 19-17 win over the hosts. Is history about to repeat itself with the same scoreline? A steady routine for Leali'ifano as he sizes up the task ahead of him. From eight metres inside the left sideline, he curls this one through the middle and over the black dot. 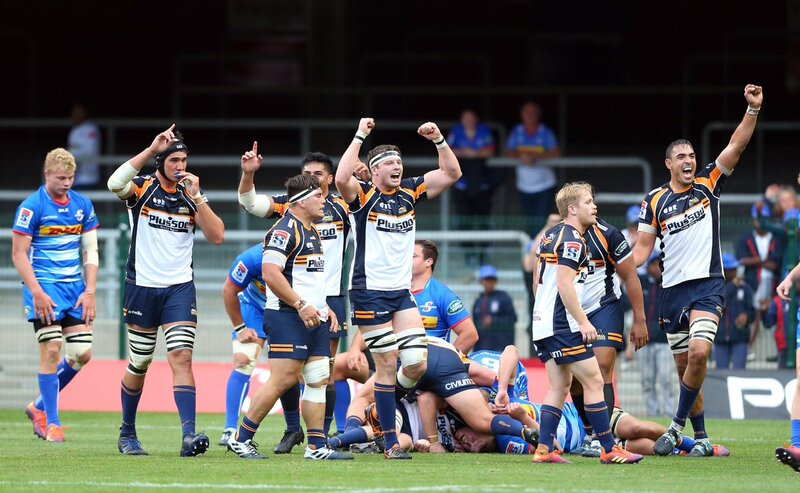 Brumbies have fought hard to regain their two-point lead; full deserved. CONVERSION BRUMBIES! (Christian Leali'ifano). STORMERS 17, BRUMBIES 19. A 14-point turnaround for the Brumbies as fresh off Speight saving a try, the visitors go 80 metres upfield with ease. With seven phases constructed together, they open up their left side with a number of angled runs before a looped pass from Leali'ifano puts Banks over untouched from eight metres out. TRY BRUMBIES! (Tom Banks). STORMERS 17, BRUMBIES 17. Absolutely superb cover defence from the Brumbies and in particular Speight. With Nel breaking into the backfield and angling for the left corner, Speight flies across one-on-one and drills the Stormers flyer into touch just before he could ground the ball. Amazing commitment from Speight. When it comes to tries conceded between the 40th-60th minute of matches though, it's the Brumbies who are one better-off. The Stormers having conceded seven tries in this passage whereby the Brumbies have only conceded six. 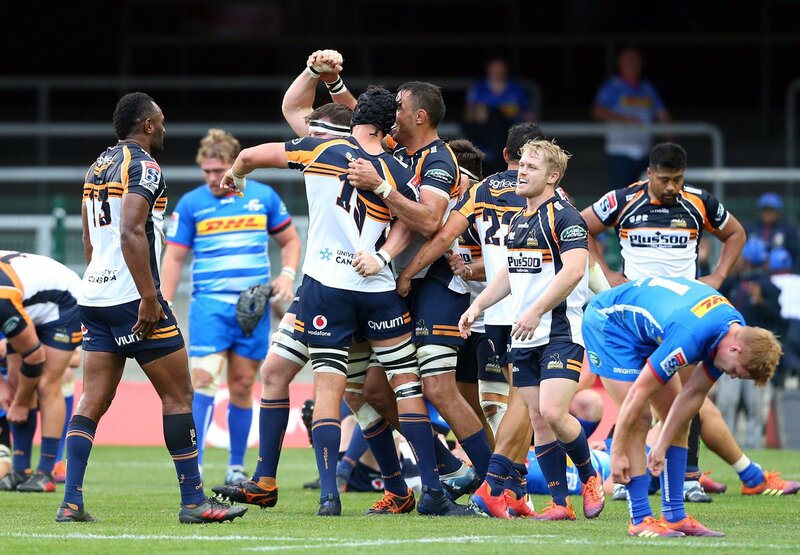 The Stormers have scored seven tries between the 40th-60th minute of matches this season; this is one five-pointer better than the Brumbies who have scored six in the same time period. Stander with his first shot on goal for the half as he sets up almost in centre field. With only a slight angle to the right of the posts to speak of, he nudges over the extras on offer and hands the hosts a five-point lead. Pressure now squarely on the Brumbies to respond. CONVERSION STORMERS! (Joshua Stander). STORMERS 17, BRUMBIES 12. An early penalty against Speight sees the Stormers able to set up close to their tryline. With five solid phases completed and asking questions of the Brumbies defence, it's Louw who gets underneath the pack and wrestles over from three metres out. TRY STORMERS! (Wilco Louw). STORMERS 15, BRUMBIES 12. 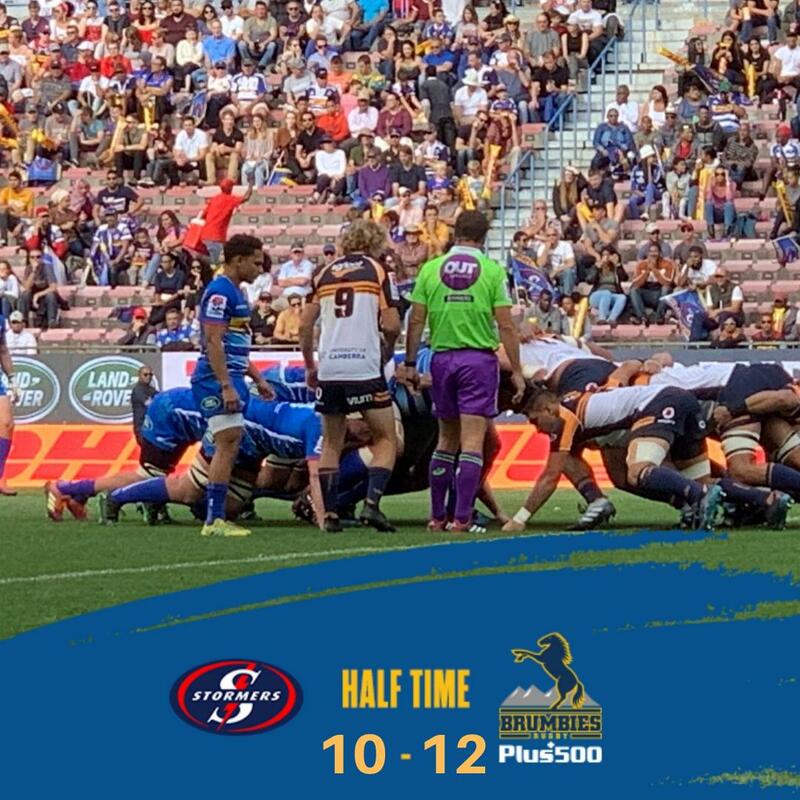 Underway in the second half in Cape Town..
HALF TIME; STORMERS 10, BRUMBIES 12 - We've reached the interval in Cape Town and in a first half heavily dominated with defence, a dubious ending to the stanza has the Stormers a fair bit closer than what they should be. In an encounter which has been well controlled by the Brumbies for the majority, a late penalty try and sin-binning to Toni Pulu sees the hosts within two points at the long break. To add insult to the Brumbies cause, Referee Briant also sees it fit that his shot on Jantjies, as accidental as it was, deserves a yellow card. The Brumbies will start the second half reduced to 14 men. YELLOW CARD BRUMBIES! (Toni Pulu). A controversial ending to the first half as after a mountain of defending, the Brumbies are made to pay for an erroneous high-shot. With Jantjies breaking the line with blistering speed, he closes to within nine metres before being collared by Pulu and losing the ball. Sent upstairs for review, it's adjudged that Jantjies would have scored if not for the high shot. PENALTY TRY STORMERS! 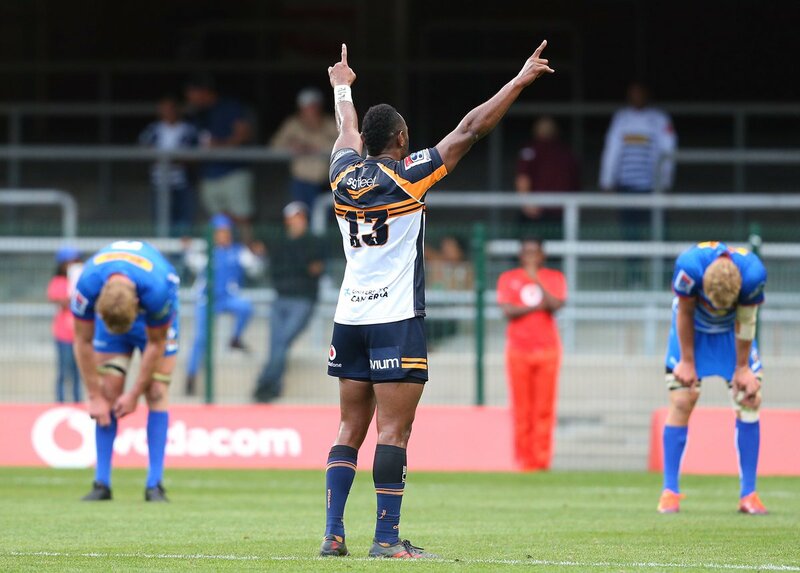 STORMERS 10, BRUMBIES 12. Plenty of huff and puff but anything that the Stormers are able to conjure up is being defended stoutly by the Brumbies. The visitors seeming almost comfortable to defend their nine-point lead and not over-exert themselves in attack. Amazing scrummaging from the Brumbies sees the pressure valve released as Louw is penalised for angling in. There's a host of celebrations and backslaps going on as the Brumbies clear upfield. Alas, the good fortune doesn't last long as the attacking throw is deemed not straight. The Stormers look to be certain to cross as another powerhouse rolling maul takes them to within half-a-metre of their line. The Brumbies defence holds firm with a mammoth effort though and force a knock on from Kitshoff three metres out. The Brumbies aren't out of the woods just yet as Samu is penalised for an accidental high shot in the lead up to Moerat's no-try. With the line-out won, the Stormers go again before yet another penalty against the Brumbies brings the hosts closer. Official cautions are given; rightfully so. TMO - It looks as though Moerat is over for the Stormers as set up clinically and pick-and-go with precision. With Moerat able to get his frame over the line, Referee Briant wants to be sure and checks it despite awarding it. The TMO does it job and spots a knock-on from du Toit in the build up. After looking as though this would be an open encounter in attack, this match has petered out to a dour affair over the past few minutes. Both defences look set and confident enough to repel any raid on their line. Open space at a premium at the moment; Brumbies still lead it by nine. Easy as they come for Leali'ifano who with Arnold to thank for running the ball around, sets up from in front. With the extras added, the Brumbies move out by nine points and look pretty solid with ball in hand. At this rate, it might be a long day for the hosts. CONVERSION BRUMBIES! (Christian Leali'ifano). STORMERS 3, BRUMBIES 12. This is horribly telegraphed by Jantjies who gets in behind the ruck and looks to clear the ball with a snap kick. Spotting the effort though is Arnold who runs through, raises his arms, charges the ball down, regathers and dots down from eight metres out. Brumbies hit straight back! TRY BRUMBIES! (Rory Arnold). STORMERS 3, BRUMBIES 10. Immediate points pulled back by the Stormers as from the kick-off, Fainga'a is penalised for obstruction. With the chance for points on offer, Stander steps up and calmly slots home the extras from 15 metres inside the left sideline. Stormers on the board; trailing by two. PENALTY GOAL STORMERS! (Joshua Stander). STORMERS 3, BRUMBIES 5. Not the best strike that Leali'ifano has ever produced as he's forced to set up tightly on the left sideline. Looking to angle the ball through, the kick is skewed badly off the tee and finishes up about 20 metres in front of goal. Not good at all; Brumbies by five. CONVERSION MISSED BRUMBIES! (Christian Leali'ifano). STORMERS 0, BRUMBIES 5. Terrific sense of mind from Arnold as the Brumbies hit up their left wing after solid build-up play. With Arnold able to free his hands above his head, he drags in two defenders before popping a pass to Samu who barges over into the left corner from 11m out. TRY BRUMBIES! (Peter Samu). STORMERS 0, BRUMBIES 5. The Stormers have scored just three tries inside the first 20 minutes of matches this season; the second-lowest of any Super Rugby side. Conversely, the Brumbies have scored six of their own which is the joint-third highest of any team. Our referee for this afternoon is Nick Briant and he brings this one underway with the Brumbies kicking off and the Stormers to receive. It's the hosts with first use moving from left to right in the first half.. Welcome to Newlands Rugby Stadium in Cape Town as Round 10 of Super Rugby continues with the Stormers hosting the Brumbies. 41'| We're back underway at Newlands. Plus500 Brumbies take narrow lead in to second 40' at Newlands! 40'| Penalty try for Stormers from Pulu high shot on the stroke of half time. Stormers get their try. Game on. 27'| Brumbies penalised for not rolling. Stormers with ball inside Brums 5m. 20'| Brumbies scrum holds on after Stormers called two turning down kickable penalties and Jahrome Brown comes up with another key turnover!